BASTROP — Near a glade of blackened pines, a Ph.D. student at Texas State University used microchip technology to search for an endangered Houston toad. Her device beeped as she held it over a carpet of pine needles, and after a bit of digging, a live toad emerged, half-buried in dirt. The creature was waiting for warmer, wetter weather before mating, but its species’ future is grim. The huge wildfires that swept through Bastrop County last fall may wipe it out. “That was an extinction-level event,” said Michael Forstner, a Texas State biology professor who is overseeing the toad research. But if the Houston toad becomes extinct and falls off of the federal list of endangered and threatened species, plenty of other species are waiting to get on it. More than 20 statewide, including several types of salamanders and snails, are under serious consideration for an endangered listing over the next four years, and dozens more are in the early stages of the process, according to the United States Fish and Wildlife Service. The agency is reviewing the status of 96 species in Texas as of Nov. 1. Experts call this an unprecedented flurry of activity. Dr. Forstner said, and it will also be a worrying indicator of the health of the piney ecosystem. “I’ve never seen anything like this,” Texas Comptroller Susan Combs said in an interview this week. Her agency says even more species are under watch, including some from the National Marine Fisheries Service. The list of endangered species candidates is “very, very fluid,” she said, and could expand. The hustle is partly a result of legal settlements last year. Two environmental groups, the Center for Biological Diversity and WildEarth Guardians, sued the United States Fish and Wildlife Service to compel the agency to speed its process of deciding whether animals and plants are endangered. Their concern was that some species were left in limbo for years without a final decision. In the settlements, the Fish and Wildlife Service agreed to review the candidacy of more than 250 species nationwide over six years. Nonetheless, the prospect of more species being listed as endangered has rattled industries like oil and gas and ranching. Melissa Jones, seeking the endangered Houston toad. “Landowners are very much on the defensive right now,” said Jason Skaggs, the executive director of government and public affairs for the Texas and Southwestern Cattle Raisers Association. His group wants Congress to re-evaluate the Endangered Species Act, which was passed in 1973. Justin Furnace, the president of the Texas Independent Producers & Royalty Owners Association, said endangered species issues are a big concern because of the oil and gas drilling all over Texas — and precautions to protect endangered species could affect production. “We’re really looking for real peer-reviewed science before they take the steps to list these species and cost jobs,” Mr. Furnace said. Oil companies have reacted with particular ire to the prospect of adding a small lizard that lives in the sand dunes of West Texas to the endangered list. In December, under pressure from the oil and gas industry, the Fish and Wildlife Service delayed by six months its decision on whether to list the dunes sagebrush lizard so the agency can gather more information about it. Mr. Furnace said he is also keeping an eye on the spot-tailed earless lizard, which inhabits the booming Eagle Ford Shale area and could become listed. Mr. Skaggs, with the cattle group, said that his concerns included the lesser prairie chicken in the Panhandle and freshwater mussels. Currently, F.W.S. classifies more than 90 animals and plants in Texas as endangered or threatened. In good news, the concho water snake, which inhabits Central Texas, was removed from the endangered and threatened species list in October. For some Texas scientists, the acceleration of the listings process has meant a flood of work. Dr. Forstner, of Texas State, said that over the last eight months, his projects have included the sand dunes lizard, the spot-tailed earless lizard and several species of salamanders, all of which could land on the endangered species list — in addition to the already listed toad. “Doing it literally one right after another isn’t how we normally do this,” said Dr. Forstner, who is urging more cooperation between universities to get the research done with more cost effectiveness. The state is also figuring out how best to research the listings candidates and to help landowners deal with endangered species. On Monday, a multiagency task force on endangered species led by the comptroller’s office will hold its first meeting this year. Ms. Combs said that Texas was “trying to have our priority of research match the feds,” but that this was often difficult to achieve and frustrating. “I think this listing process is very burdensome, and I don’t think it’s based on sound science,” she said. Financing for studies of potentially endangered species comes from a variety of sources, ranging from the federal government to affected industries. Toby Hibbitts, a scientist at Texas A&M University, said that his recent fieldwork on the dunes sagebrush lizard was financed partly by oil and gas. He plans more work in late spring, when the reptiles are active again. The ultimate goal, Dr. Forstner said, is that other species do not end up as the Houston toad has — on labor-intensive life support. In the Bastrop woods, graduate students working with him spent this week setting up large blue plastic tubs and filling them with sand and a bit of water to emulate a beach, so that tadpoles have a better chance of surviving. If the toad becomes extinct, Texas will lose a creature with a unique call, Dr. Forstner said, and it will also be a worrying indicator of the health of the piney ecosystem. 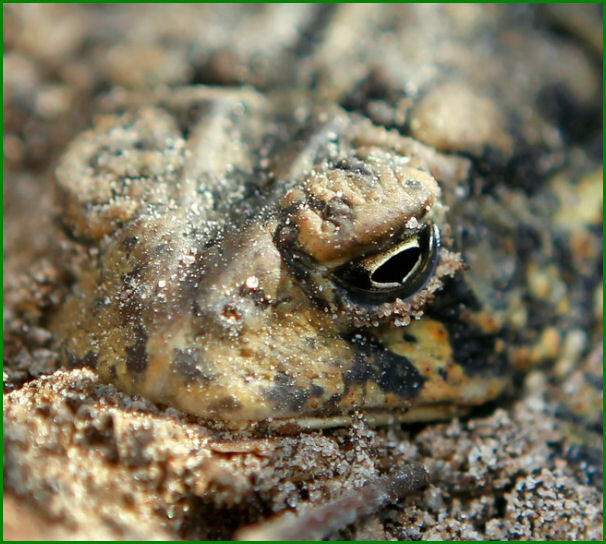 “Losing the toad is losing a native Texan,” Dr. Forstner said.